Preheat oven to 400°F. 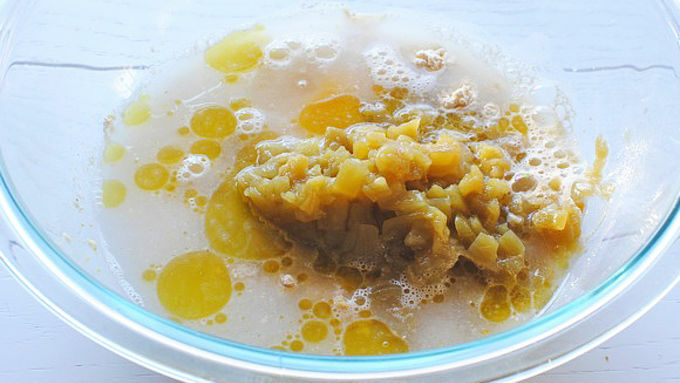 In a large bowl, combine the corn muffin mix, water, oil, egg, and green chiles. Whisk to fully combine. 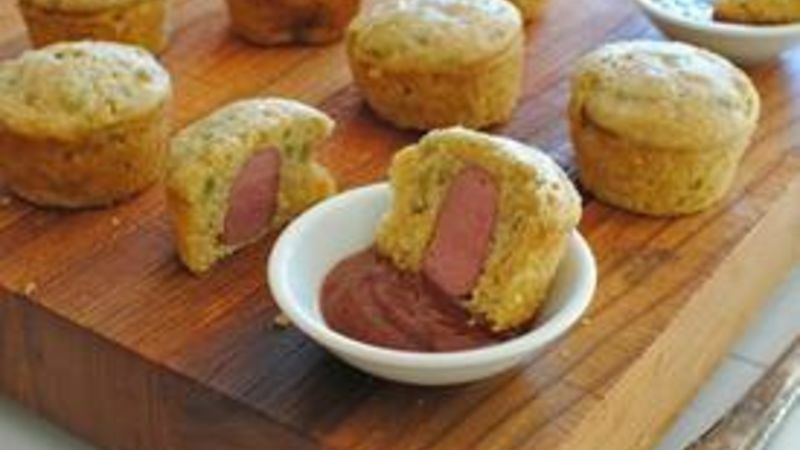 Lightly grease a mini muffin tin. Spoon a little of the batter into each tin, filling it to about 3/4 full. 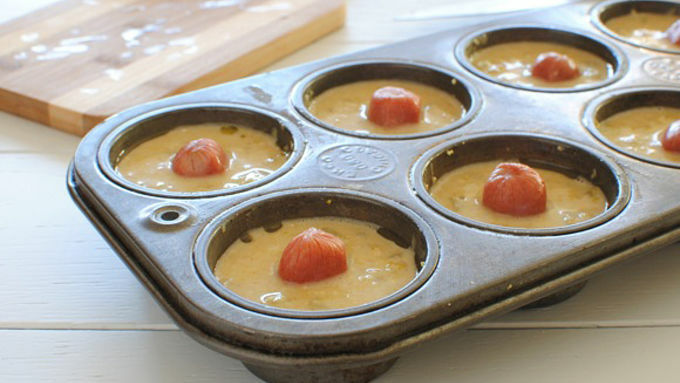 Place a hot dog half upright, down the center of each muffin. Bake for 15 minutes, or until cooked through. Serve immediately with sriracha sauce! Note: For the kids, you can omit the chiles and serve with ketchup instead of sriracha! Hot dog. In the middle of these muffins. I ain't even lying. You know those gosh-darned toy machines in restaurants where there's like a CLAW, and you put in 10 hundred million dollars and the claw like, half way wakes up, and then wavers over the toys and then BARELY TOUCHES any toy, then recoils back to its evil, sleepy corner in the big glass cage? I always wanted to bash those things in. But now, I don't have to. Know why? 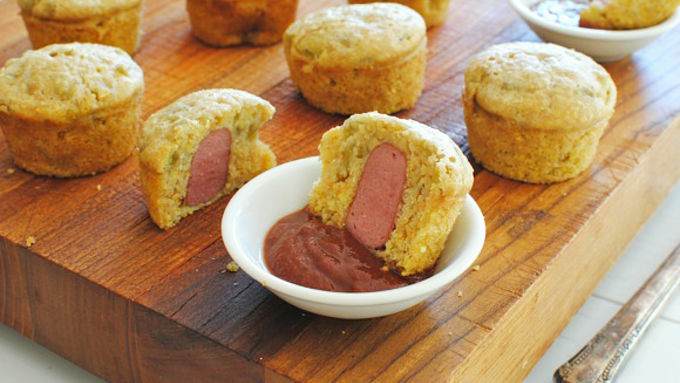 Because there's a dang hot dog in the middle of every single one of these mini muffins. Guaranteed. Every time. No stupid claw. No let down. It's there. Unless you forget to put one in there, which you won't. Now dip these mothers in some hot sriracha sauce and see stars, baby. This punches that toy machine in the FACE. More Muffin Meals These little hand-held muffinmeals are crazy fun. Try more!